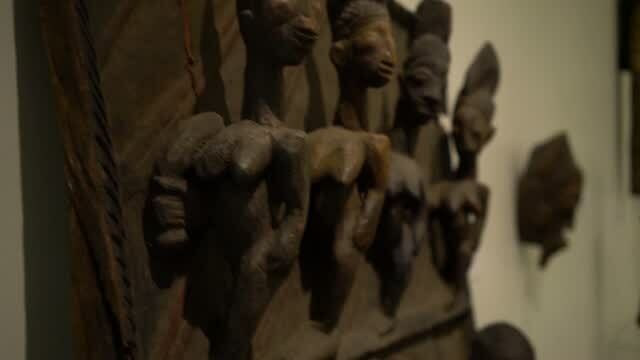 The Cultural Museum of African Art is an experience created by African artifacts collector Eric Edwards, who has amassed one of the largest African art collections in the United States. In a journey of forty four years of carefully selecting these items, which date back to over four thousand years, he is now sharing this journey with the public in a museum setting of education and joy. The reason for creation of each artifact, will be shared, whether for religious, spiritual, protective, secretive, power, beauty, educational, as well as for utilitarian purposes are presented in an historic undertaking. African culture and history is learned through its art. July 3, 2018--Weeksville Heritage Center, the arts and cultural institution that sits on the site of the remaining vestiges of the second largest free African-American community of pre-Civil War America, is pleased to present “From Africa To Weeksville: The Eric Edwards Collection,” an exhibition of rare artifacts on loan from The Cultural Museum of African Art, The Eric Edwards Collection, one of the largest collections of African art in the United States amassed by an African American. The exhibition, which runs from July 12 through September 28, highlights the history and background on artifacts from 17 countries on the African continent and, through its narrative and programmatic extensions, draws explicit connections between the cultural practices of those countries and the people, both free and formerly enslaved, who built the community of historic Weeksville. “From Africa To Weeksville: The Eric Edwards Collection” is made possible in part by the support from the New York City Department of Cultural Affairs and its Cultural Immigrant Initiative. Rare African and U.S. slave chains that document the “Middle Passage and the Trans-Atlantic Slave Trade”. The Eric Edwards Collection is the result of over 48 years of Edwards’ work as a private collector. He has amassed one of the most important private collections of African art in the world. Over 2,500 artifacts reside alongside Mr. Edwards in his Brooklyn home, which has become a museum. The collection represents all 54 countries of Africa and spans over 4000 years of history. In the 1970s Eric Edwards, a Brooklyn native, acquired his first piece of African art-- a statue of a Bambara maternity female from Mali for $300. With this purchase his love for African Art was born, and soon escalated into an obsession for acquiring one-of-a-kind African artifacts. "I went to auctions, galleries, private acquisition sales, as well as travelling extensively around the world. I started purchasing pieces when they were truly affordable and started building my collection,” he said in an interview. Edwards credits his father James, who came to America from Barbados at 17, with teaching him about Africa’s contributions to mankind. Those lessons empowered him with a self-respect and dignity that gave him a sense of real equality. Weeksville Heritage Center is a multidisciplinary museum dedicated to preserving the history of the 19th century African American community of Weeksville, Brooklyn - one of America’s many free black communities, and the second largest of its kind in pre-Civil War America. Weeksville's mission is to document, preserve and interpret the history of free African American communities in Weeksville, Brooklyn and beyond and to create and inspire innovative, contemporary uses of African American history through education, the arts, and civic engagement. Using a contemporary lens, we activate this unique history through the presentation of innovative, vanguard and experimental programs. 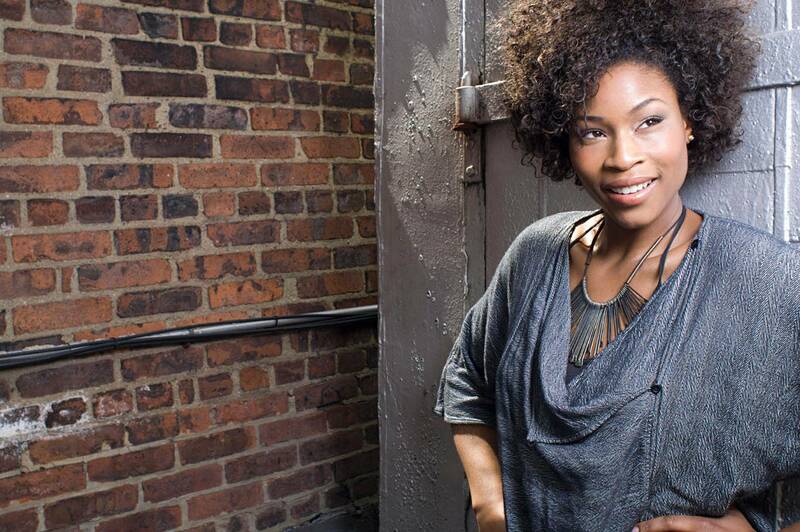 For press inquiries please contact Stephanye Watts, Marketing Manager, at [email protected]ciety.org or 718-756-5250 x329. More information on Weeksville Heritage Center: http://www.weeksvillesociety.org. To Weeksville: The Eric Edwards Collection one of the most important private collections of African art in the world. The exhibit will present pieces as diverse as a royal woman’s head carved out of stone dating back 4,000 years, to Terra Cottas of the Nok Dynasty (Niger), to a carved wooden royal coffin, to Ibo Ceremonial Dance Dresses. The exhibit highlights African art as integral to African life. The universal ethos of African art positions art as a fundamental part of culture: from tools to utensils to dress to musical instruments; art is never created for art’s sake. The 2,500 piece collection has taken Edwards 46 years to amass and represents all 54 countries in Africa with artifacts dating as far back as the Nubian Empire. Please Donate $50.00 and receive a "Brooklyn is Africa Poster", completely tax deductible and with free shipping. Click the Donate Button above and provide your mailing address information." Dear friends and all who want a better future for our children. "This is your chance to support the creation of the Cultural Museum of African Art, its goal is to provide through the study of the art of Africa the history of the people of this great continent and their contributions to the world from the dawn of history. We believe that it will give young people an "anchor" in which to know that they are important and come from a proud past. It will give others more knowledge of Africa far beyond stereotypes, and provide the basis for all ethnicities, and races to join together to make this a better world, which is what we need today! ", Eric Edwards.
" Bringing People of Good Will Together"
The Realization of Peace and Harmony in the World; World Sustainable Development and Response to Global Health Emergencies. This organization will formally affirm their support for the Cultural Museum of African Art. Please say that you are a guest of the Cultural Museum of African Art. Thank you very much as I look forward to personally receiving you at the event. "MIssion Statement of the Cultural Museum of African Art"
Panel Discussion - Eric Edwards - "Art Impact on Culture"
Welcome — Sylvia Gail Kinard, Esq. Celebrate Africa at MEC is co-sponsored by Office of Diversity, Multiculturalism and Affirmative Action; the Center for Black Literature; and the Center for Law and Social Justice at Medgar Evers College. 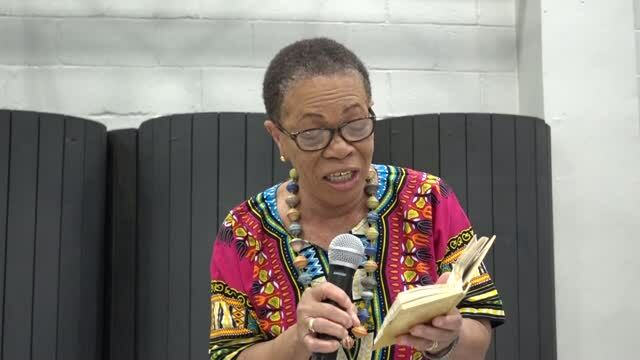 **The Cultural Museum of African Art will be located in Bedford Stuyvesant, Brooklyn, NY; it has no relation or association with Vira Jones’ Bedford Stuyvesant Museum of African Art.  Meet African dignitaries from various countries; sample and enjoy food from Brooklyn’s best and most noted African chefs.  Spectacular art creations based upon African inspiration, and actual African artifacts as old as 4000 years.  Come listen to and watch traditional African music and dance.  Video displays of actual African ceremonies.  Dr. Adelaide Sanford, New York State Regent Emeritus and former Vice Chancellor, "Our Mother Africa"
 NYC Councilmembers Robert Cornegy, Jumaane Williams, Laurie Cumbo, Federal, State, and local officials.  Speak to the Chairman Mohammed Nurhussein, and President Sidique Wai of the United African Congress. The message will be of unity and in strengthening the bonds between Africa and the United States in all ways. In conjunction with the office of the Brooklyn Borough President Eric Adams, this is the 2nd Annual Exhibition celebrating the connections between the peoples of Africa and the Brooklyn public. The massive collection of Eric Edwards, one of the largest in the United States, is the center-piece of this historical undertaking. Carefully assembled over the last forty Four years this Brooklynite has one of the finest and foremost collections of African art and artifacts in the country. Mr. Edwards, a graduate of Brooklyn Tech and CCNY, will along with other experts discuss the cultural relevance of the art of Africa to people of all backgrounds and ethnicities. The making of the art and its utilitarian, religious and spiritual uses will be discussed along with its role in the development of contemporary modern art. Museums in NYC began formally collecting African art in the early 20th century, in Europe considerably earlier. Artists such as Basquiat, Picasso, Braque, Klee, Matisse and many of the modernists appropriated African art images and incorporated it into many of what today are considered the greatest modern masterpieces. Artists today such as Otto Neals and Danny Simmons recognize the aesthetic qualities of the sacred wooden sculptures and masks of African artisans. You will see the power manifested from this in the contemporary creations of the artists presented in this exhibition. It is with that same inspiration that eleven wonderful contemporary artists will present their new works which have been inspired by the Eric Edwards collection. They make the leap from the past to the present, and we will realize mankinds’ inspiration and what makes us human doesn’t change with time. This exhibition is curated by Eric Edwards, Executive Director of CMAEE. "its art’s meaning to the world". ***Please RSVP with name, tel;. number, and email at comments box. Come listen to and watch traditional African music and dance. Video portals to African countries will be available so direct cultural exchange will be possible. Children will have the ability to have direct conversations with other young people in multiple African nations. 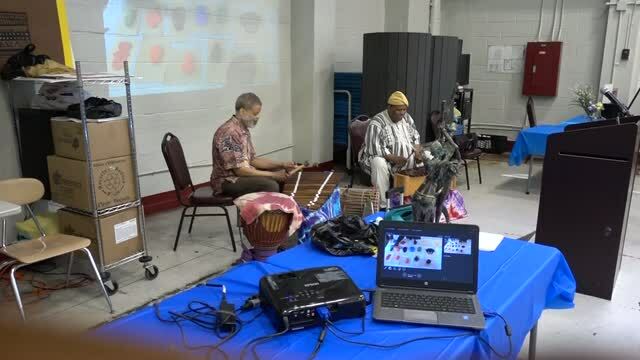 In conjunction with the office of the Brooklyn Borough President Marty Markowitz, this is the first planned exhibition celebrating the connections between the peoples of Africa and the Brooklyn public. The massive collection of Eric Edwards is the center-piece of this historical undertaking. Carefully assembled over the last forty years this Brooklynite has one of the finest and foremost collections of African art and artifacts in the country. Mr. Edwards, a graduate of Brooklyn Tech and CCNY, will along with other experts discuss the cultural relevance of the art of Africa to people of all backgrounds and ethnicities. The making of the art and its utilitarian, religious and spiritual uses will be discussed along with its role in the development of contemporary modern art. Museums in NYC began formally collecting African art in the early 20th century, in Europe considerably earlier. Artists such as Basquiat, Picasso, Braque, Klee, Matisse and many of the modernists appropriated African art images and incorporated it into many of what today are considered the greatest modern masterpieces. Artists today such as Otto Neals and Danny Simmons recognize the aesthetic qualities of the sacred wooden sculptures and masks of African artisans. This exhibition is curated by Leon Nicholas Kalas, a Brooklyn curator. Kalas is also a participating artist in this exhibition. Mr. Kalas believes that art operates in a specific sphere within society, a space of freedom, of critical revision, of questioning, of argument, hope, experience, and reflection… It is the role of the artists to occupy and bring life to this space. This is a global challenge and responsibility, this importance of maintaining artistic independence and freedom should always have first priority. Come celebrate Africa and its gift - “its art’s meaning to the world”.